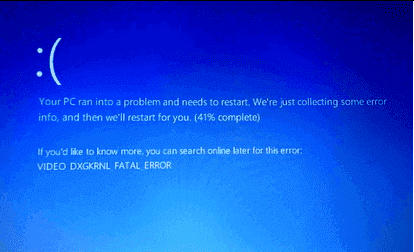 According to users’ feedback, the blue screen with VIDEO DXGKRNL FATAL ERROR appears generally after updating their computers. Not only in Windows 10, this problem comes from the earlier versions. Even since this issue is not frequently seen yet the computer freezes during this. There are multiple causes that shoot this mess up on the device. The first reason is a Microsoft bug that comes up causing the problem in the Direct graphics. Apart from that corrupted file, damaged parts, incompatible or outdated drivers may also be the reason for the same.